5. Return samples cost after bulk order placed. 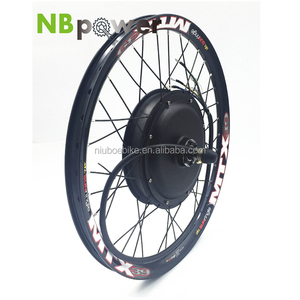 The goal of NBPower is to be your senior consultant in electric bicycle. Q6.What kind of extra preferential you would like to offer9 Return the sample cost after bulk order placed. Q: Do I have to pedal to assist the motor9 A: There are two kinds of modes available, throttle controller and pedal assist. We do recommend that every 20th charge that you run the battery flat and give it a full charge. Q: Could I take samples to test quality and market in advance9 A: Yes, welcome to take samples to test our quality and service. But the sample cost can refund to client when mass order. We would like to help client let is the business as simple as possible. Q: How can i trust you9 A1: We are looking for long term business cooperate with client. 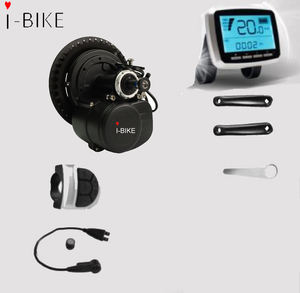 l We promise to replace the ebike conversion kit freely if there is some problems within 6 months. Q The controller uses square wave or sine wave9 A It is optional. Q The controller uses square wave or sine wave9 A It is optional. 9 YRS Hangzhou Hangpai Electric Vehicle Co., Ltd.
Step3 Install the controller, brake lever, thumb throttle , and other related parts. 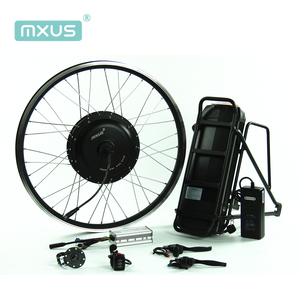 The battery can be housed in a variety of convenient locations like the seat post, the top tube, the bike basket, or the carrier. Step5 Connect the battery to the motor with the cords and clips that are provided. We are not only selling one part or one products, we provide whole soultion. Usually the parts delivery time is less than 15 days, and the whole kits delivery time is less than 25 days. Of course, if you need the products ugently, please let us know, we would confirm the delivery time is ok or not before the order. 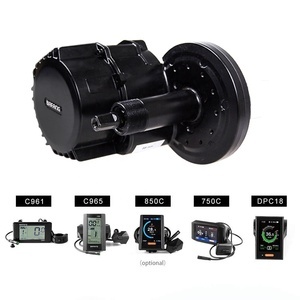 4 YRS Changzhou Kingsun Electrical Co., Ltd.
1 YRS Suzhou Beishun Trade Co., Ltd.
1 YRS Jiande Wuxing Bicycle Co., Ltd.
1 YRS Jiaxing Sunmore Outdoors Co., Ltd.
1 YRS Kunshan Innovate Electric Technology Co., Ltd.
1 YRS Changzhou Smilo Motors Co., Ltd.
1 YRS Changzhou Epower Technology Co., Ltd.
2 YRS Sharpbeco Intelligent Technology Co., Ltd.
Alibaba.com offers 8,180 ebike conversion kit products. 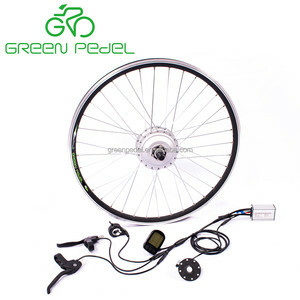 About 70% of these are other electric bicycle parts, 18% are electric bicycle motor, and 6% are electric bicycle. 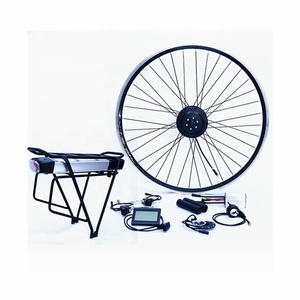 A wide variety of ebike conversion kit options are available to you, such as paid samples, free samples. 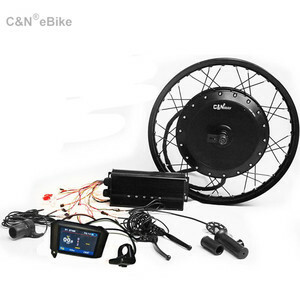 There are 8,180 ebike conversion kit suppliers, mainly located in Asia. 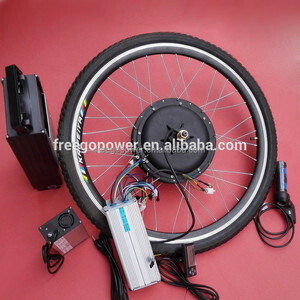 The top supplying country is China (Mainland), which supply 100% of ebike conversion kit respectively. 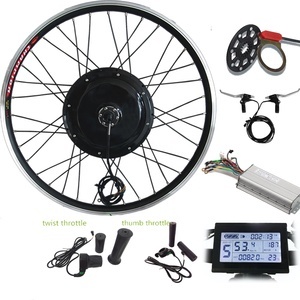 Ebike conversion kit products are most popular in North America, Western Europe, and Eastern Europe. You can ensure product safety by selecting from certified suppliers, including 763 with ISO9001, 112 with Other, and 58 with ISO14001 certification.